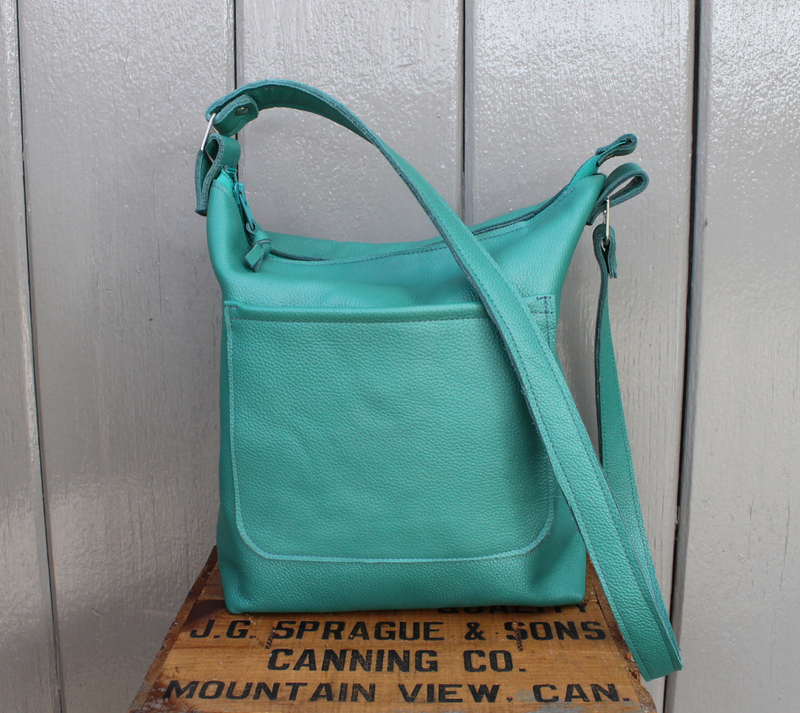 Turquoise is a colour I love–and I was delighted to find some lovely pebbly leather remnants in this great colour. 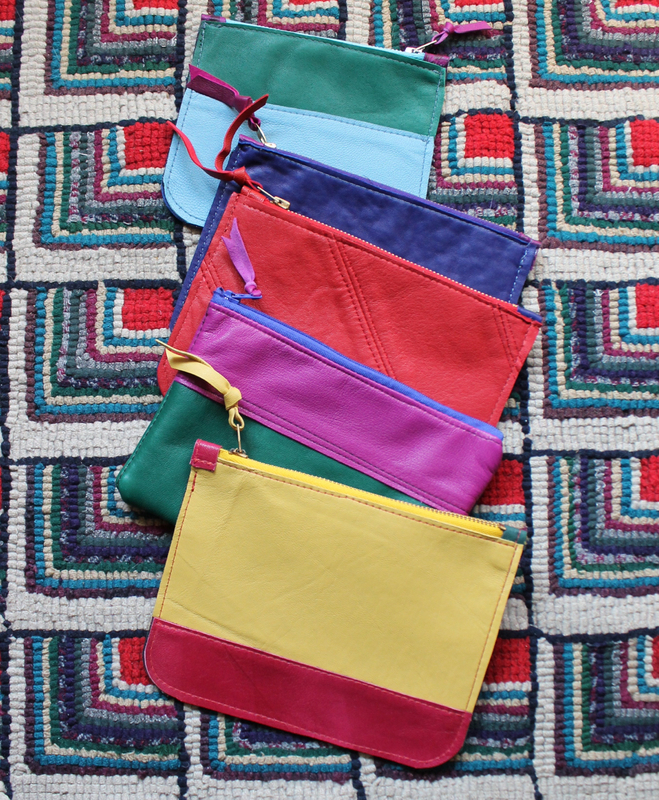 I made about a dozen pouches with various colours of zipper. 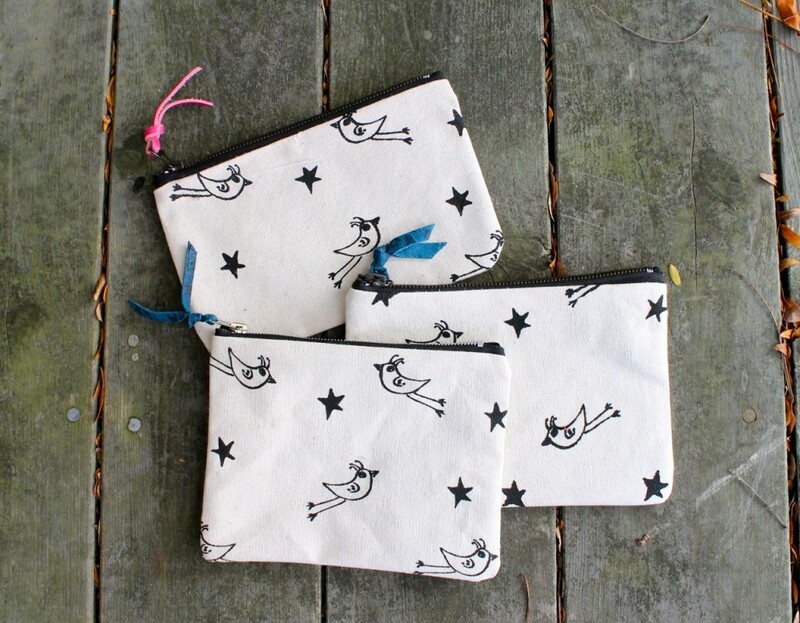 These pouches are unlined but have a little pocket inside perfect for your bank card or subway pass. 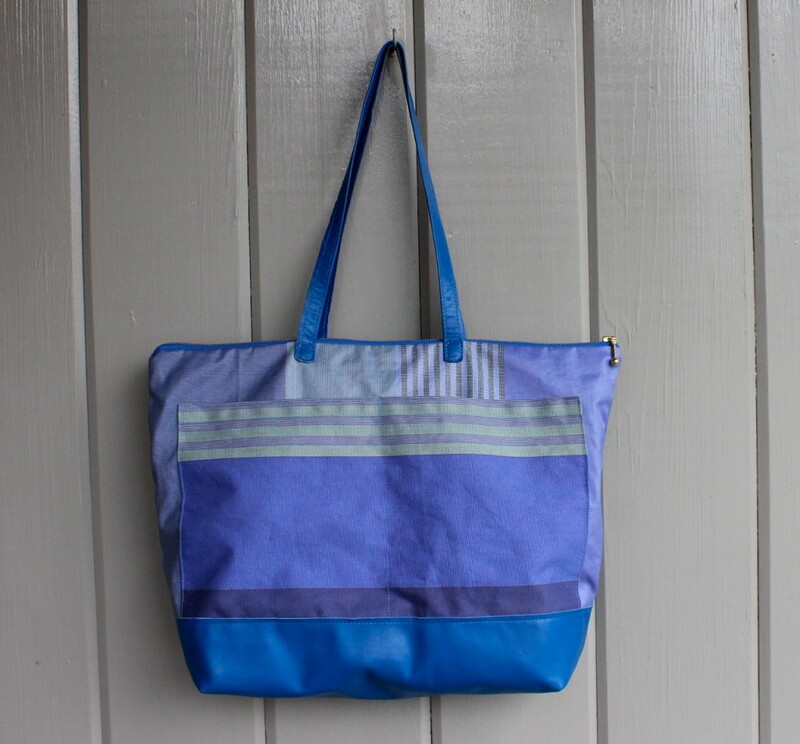 I carry my phone and a little cash in one of these when I am on my bike–and also throw it in a larger tote–the colour means I can always locate it. These pouches, along with some in other colours, will be available on Sunday at the show. 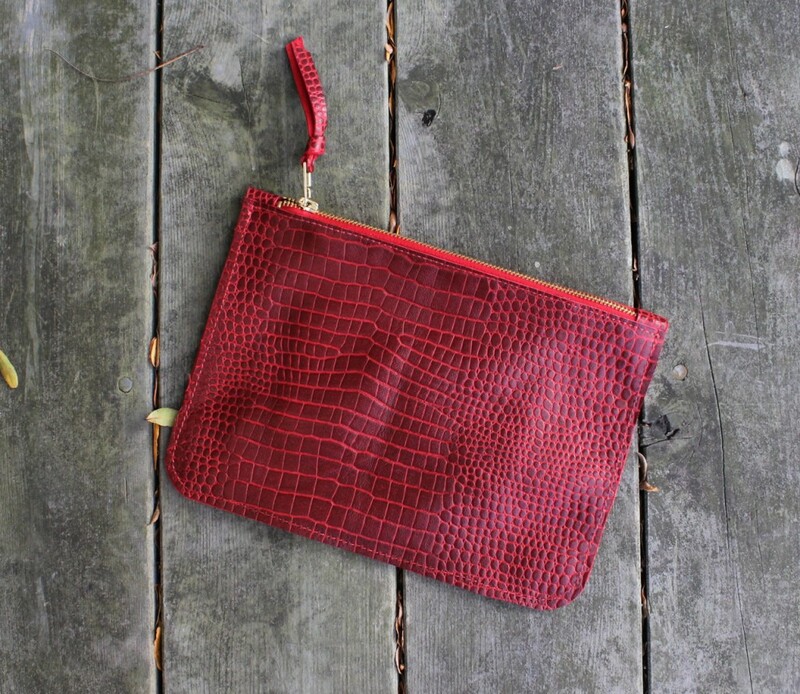 Below is one in teal and one in a red croc, a little larger. Last night I was at the Bell Centre in Montreal, along with 12,600 others, to see Leonard Cohen. I first attended a Cohen concert in February 1967, so this was coming full circle for me. I was a first year university student reading Cohen’s poetry and The Favourite Game and the concert was unforgettable. Here is Jack Batten’s description in Saturday Night Magazine of that concert at York University: Then there was the concert at York University a couple of years ago, just before his first record came out. “What he did, he mesmerized the five hundred people in the hall,” Alice says. “He walked on to the stage and lit some incense and looked out in the audience and said very quietly, ‘The person here in the most pain is me.’ Then he went into a soft chant and got everybody in a nice trance. After that, he talked and read and sang for three hours and every single person worshipped him. 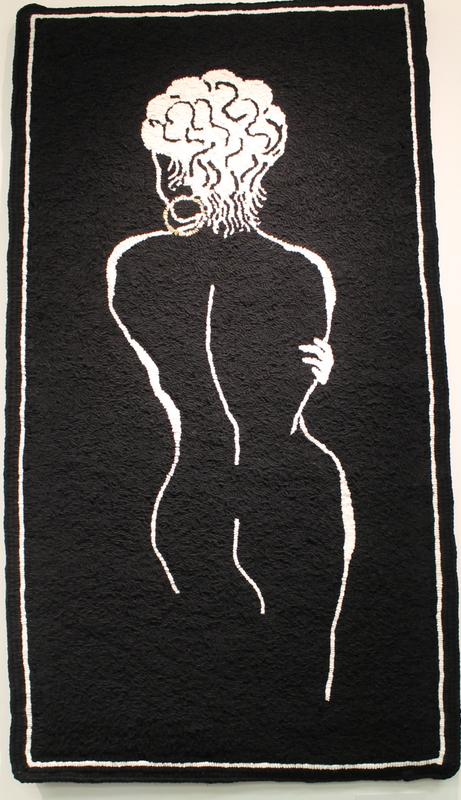 It turned into a Leonard Cohen love-in night.” [Jack Batten, 1969]. Last night’s concert was as long and as mesmerizing–but a very different performance. 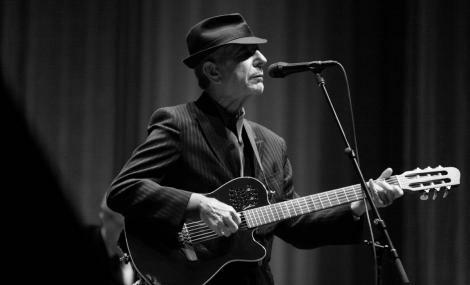 Cohen is now 78 and ironically more vital in his fedora and string tie. He skipped across the stage, lowered himself regularly to his knees (and got up hands free–he must do yoga!) and made self-deprecating jokes. This was a big professional performance with incredible musicians–violin, organ, bass and multiple guitars as well as ethereal vocals. For me it was a chance to relive those essential poems and songs which have accompanied me for the last forty plus years–an intimate experience in spite of the crowd. You can read the review of the magic here. 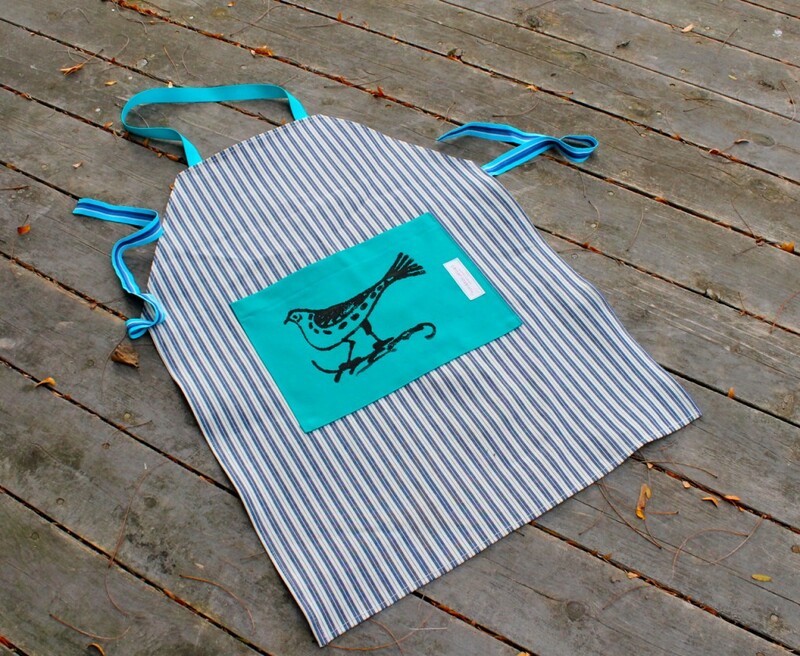 When I was in Chartres I bought the bright stripes that you have seen in the aprons and the tote. 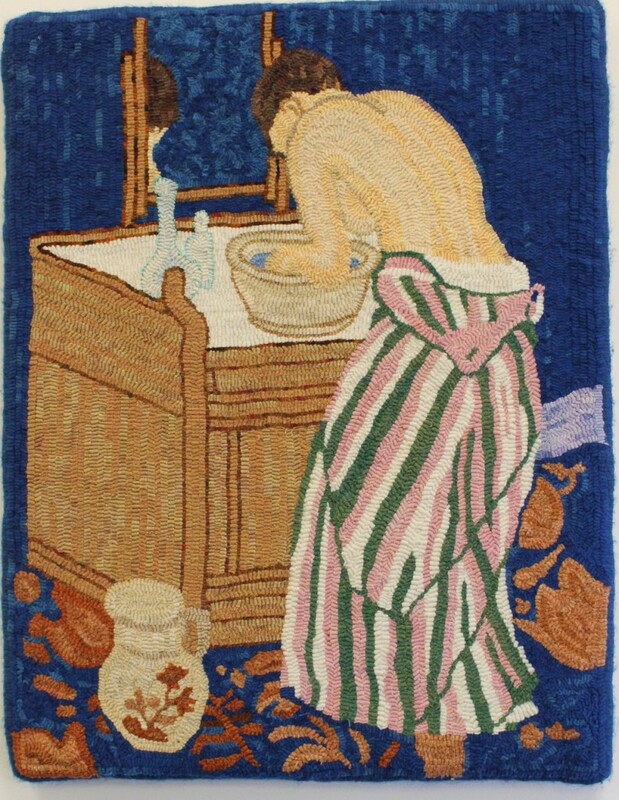 But I also bought this lovely blue toile enduite. This is cotton which has had a special treatment of acrylic layers to make it waterproof. 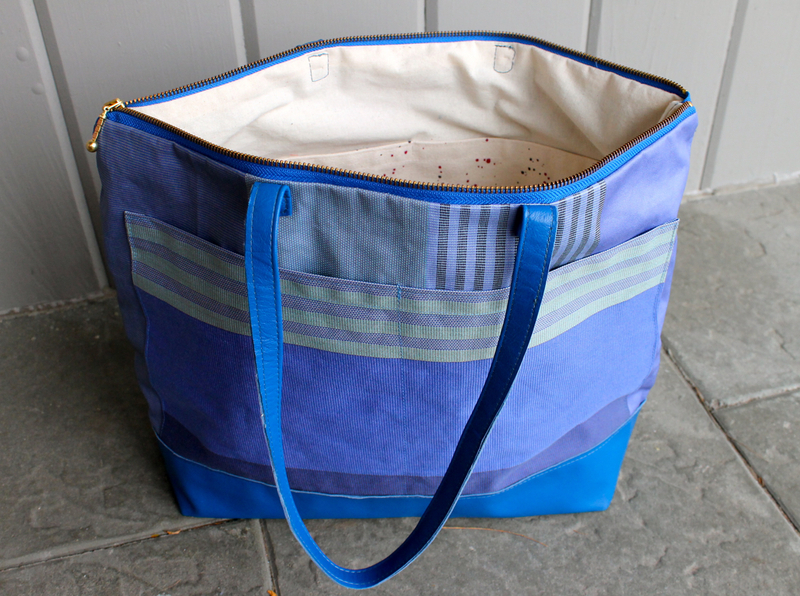 I had enough fabric for two aprons and this tote. 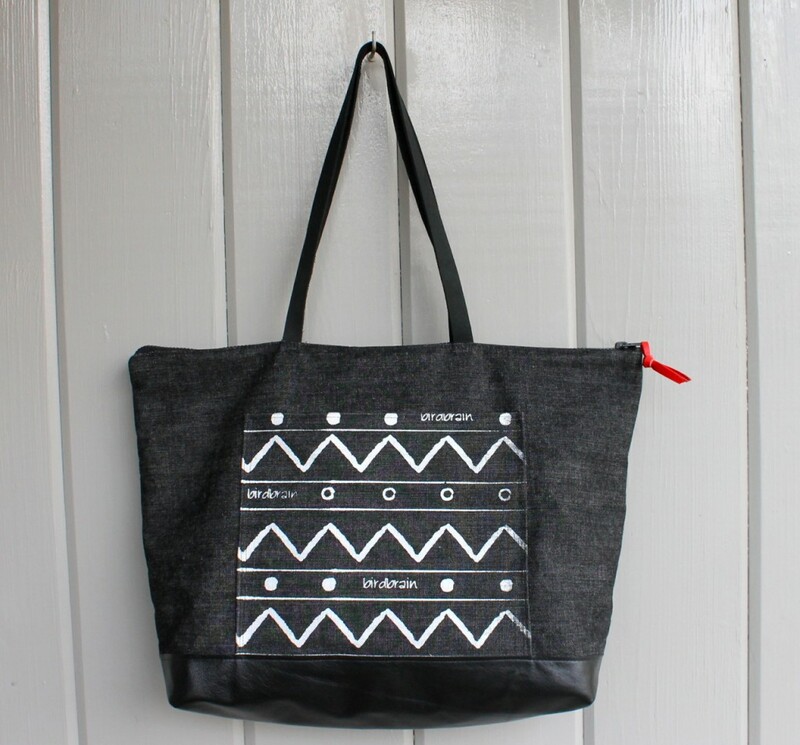 It is 18x13x5″ lined in canvas, with a zipper closure, leather bottom and straps, a big double pocket on the outside and another double one inside, screen-printed with birdbrain graphics. 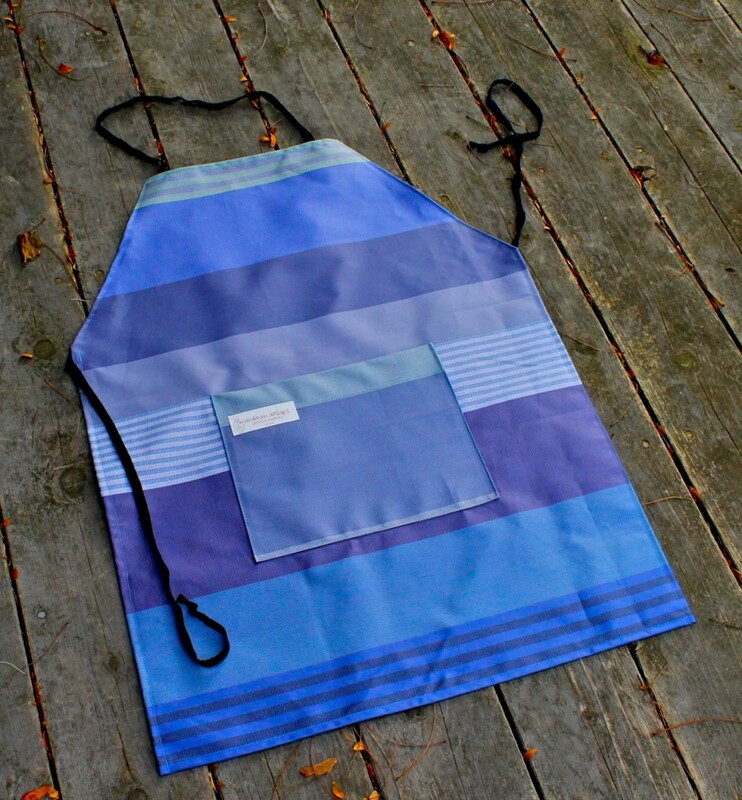 At bottom is one of the aprons, all ready for the kitchen! 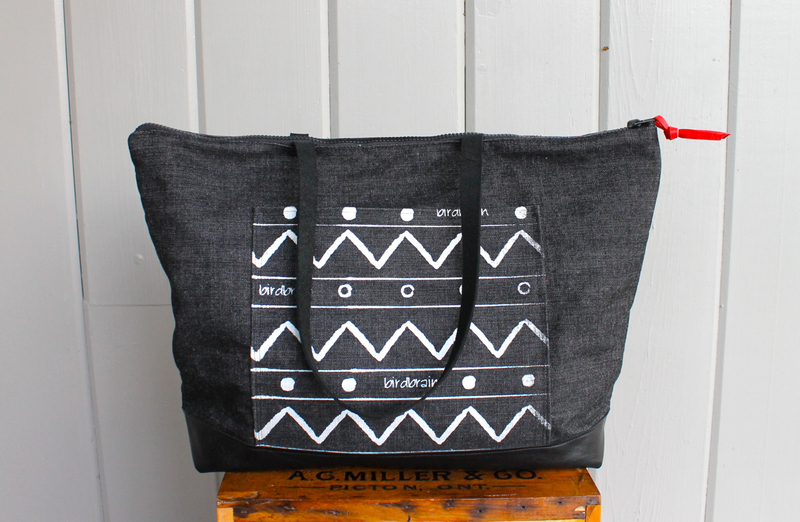 I am always carrying a tote. My sketching supplies and my camera are the main reasons, but there are lots of other items I stow there. 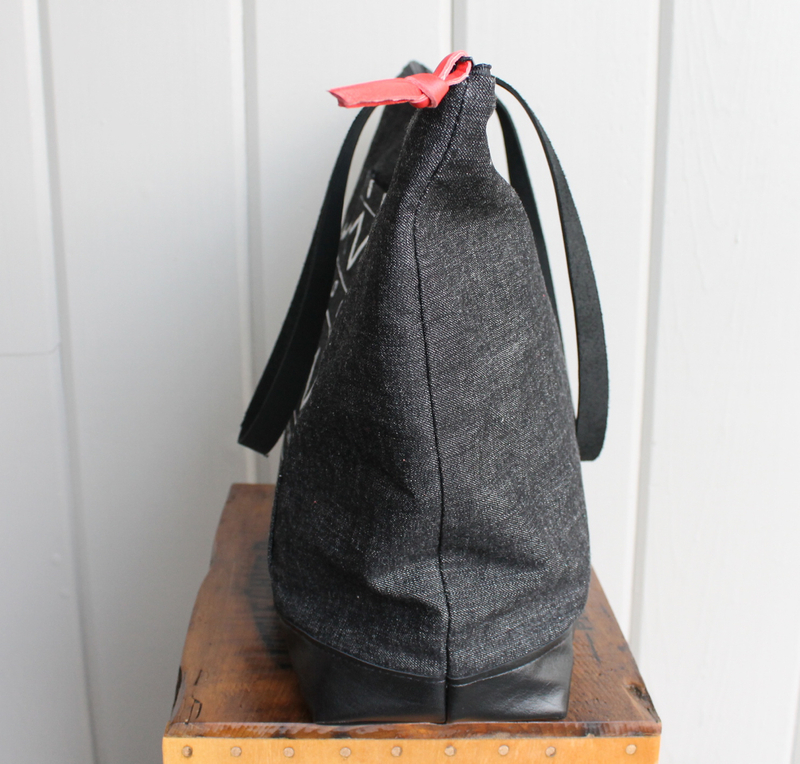 Over the past year I have distilled my tote needs–a big outside pocket, an inside pocket for my phone and a larger pocket to stash papers etc. I like a leather bottom and straps long enough to comfortably go over my shoulder. I tried this one in black denim with a bright orange lining. I am very happy with the way the www dot graphic worked in white and the denim seems strong enough to handle the wear and tear of daily use. The splash of colour inside is perfect. It is a comfortable size: w 19 x h 13 x d 4.5″ with zipper closing. I have been away for a few days, but I am home now and back sewing. 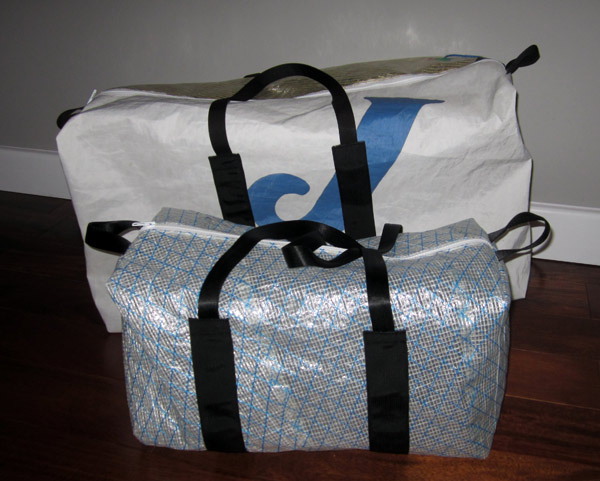 In the meantime, I wanted to share these great functional bags made by my son, Owen, from recycled sails. They will be available at the December 2nd show in two sizes. 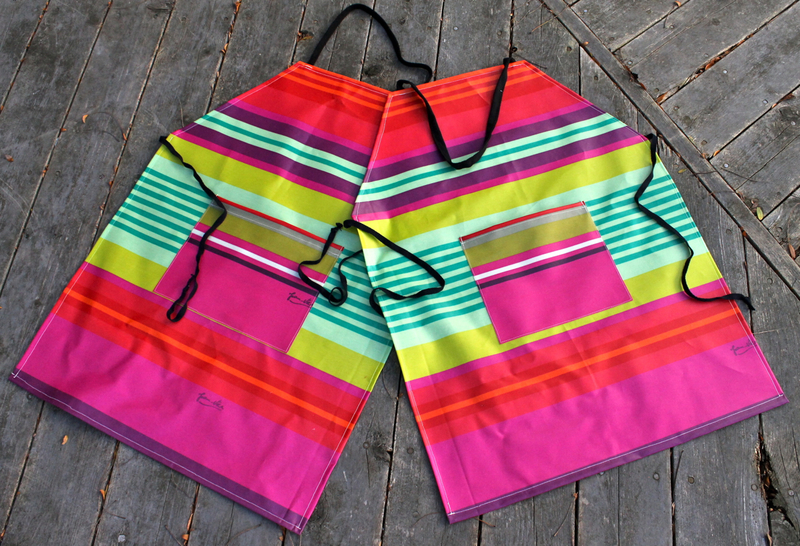 They are great for throwing your wet gear into or for toting any paraphernalia around. 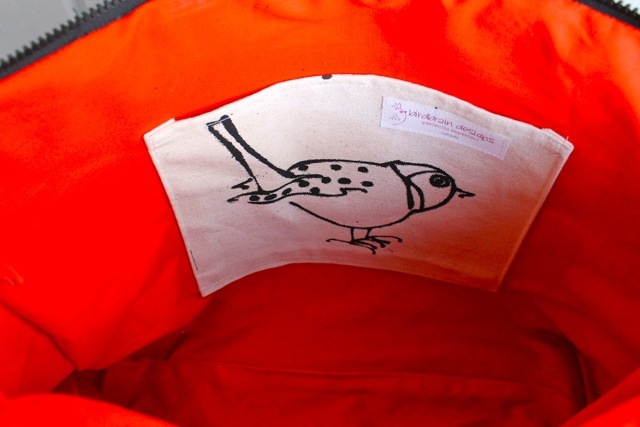 The sail fabric and graphics–like this logo from a J-24–are very appealing. This term has been buzzing around in my head since I first heard it on CBC this week–on a repeat episode of Spark. The theory posits that constraints inspire creativity. I have been thinking about what I make and the constraints that come from using recycled materials, by their very nature limited or one-of -a-kind, and discoveries I have made from having to work with ‘not enough’ or the wrong colour, or no zipper in the right size, etc.. 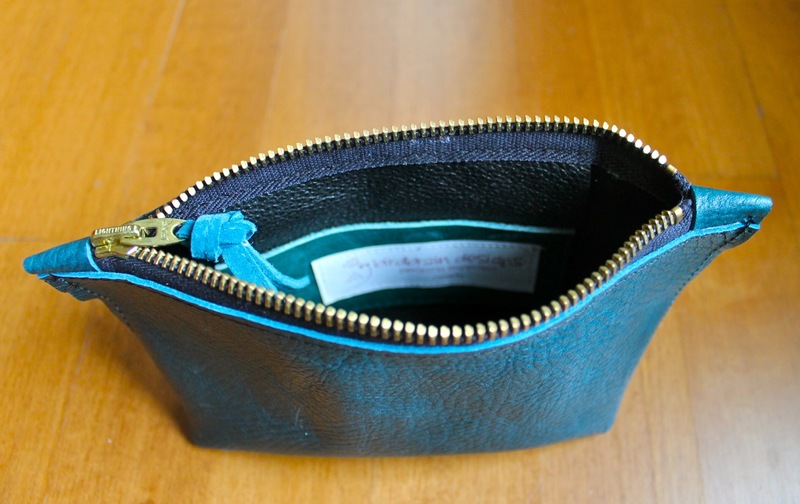 I was making some more colour therapy pouches this morning with small scraps of leather–pure constraint–the green is the very last piece of that great Michael Kors suit and the blue from a small leather coat factory in Montreal–the owner literally picked it up off the shop floor and gave it to me. I am constrained by size of the pieces, colour and quantity–and this is what gives rise to creation, each pouch its own design, colour and size. Nothing uniform. 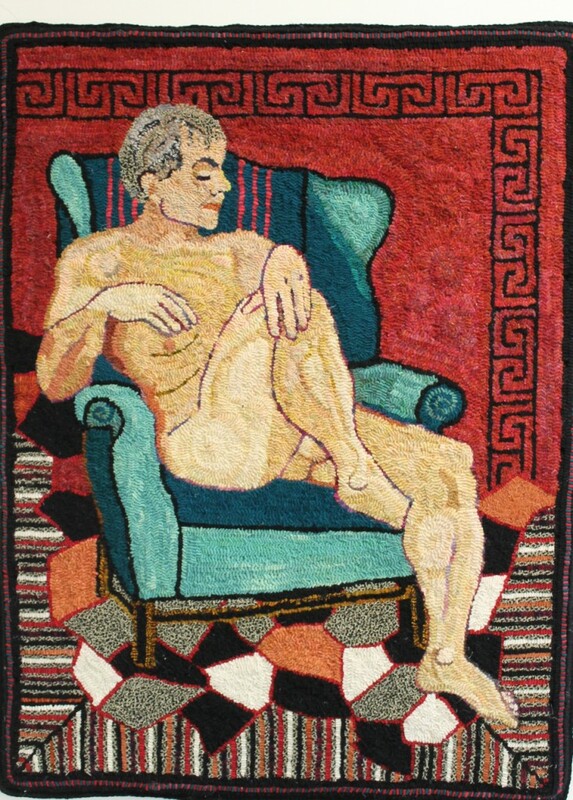 My mother made the hooked rug beneath the pouches–this too is an example of creation within constraint–the size and colour of the squares were determined by the pieces of wool she had in her scrap basket. 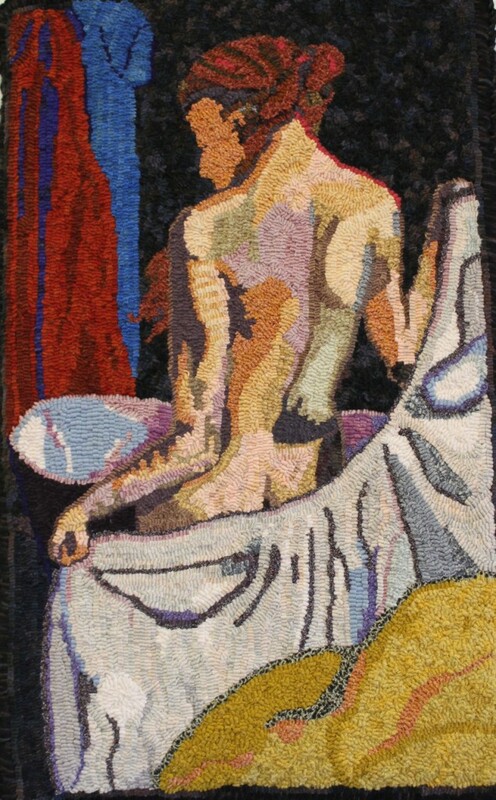 Much of rug hooking now is based on great choice, but I love the old designs which grew out of a necessary constraint. On another note, I have made some pouches from the new prints and I wanted to share them too, as well as a new red rough bag. All will be available at the December 2nd show and then later in the shop. I am hoping to revise the shop set up to make it easier for everyone. 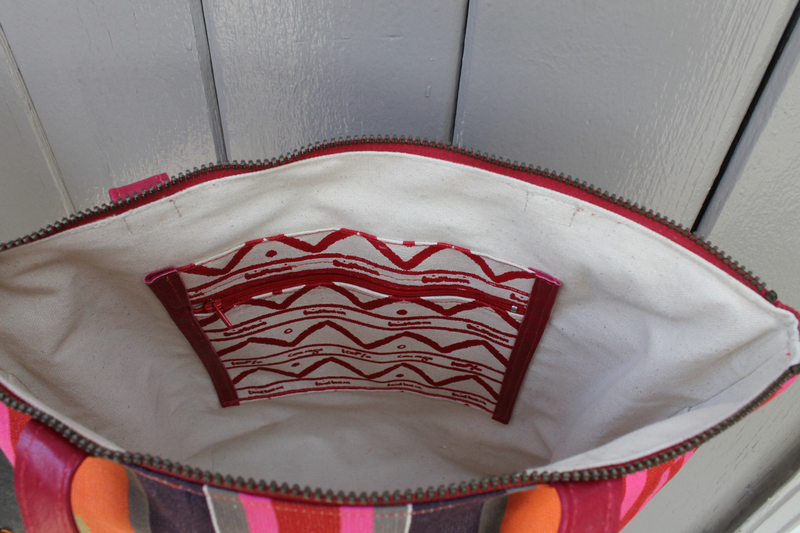 This is another unlined bag, 12x13x5″ with a 40″ strap. 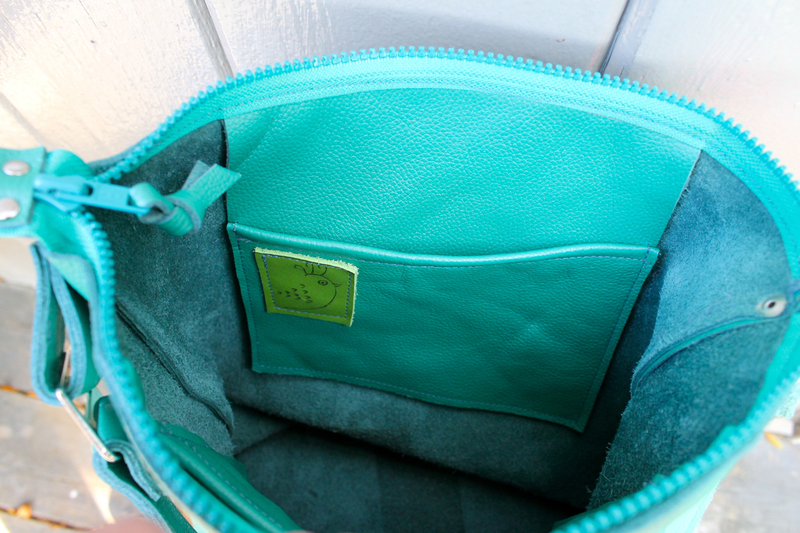 It has a zippered closure, two interior pockets and a patch pocket on the front. 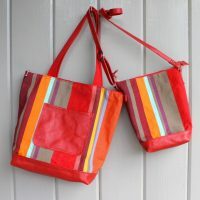 It is a great colour and made of lovely, durable leather. 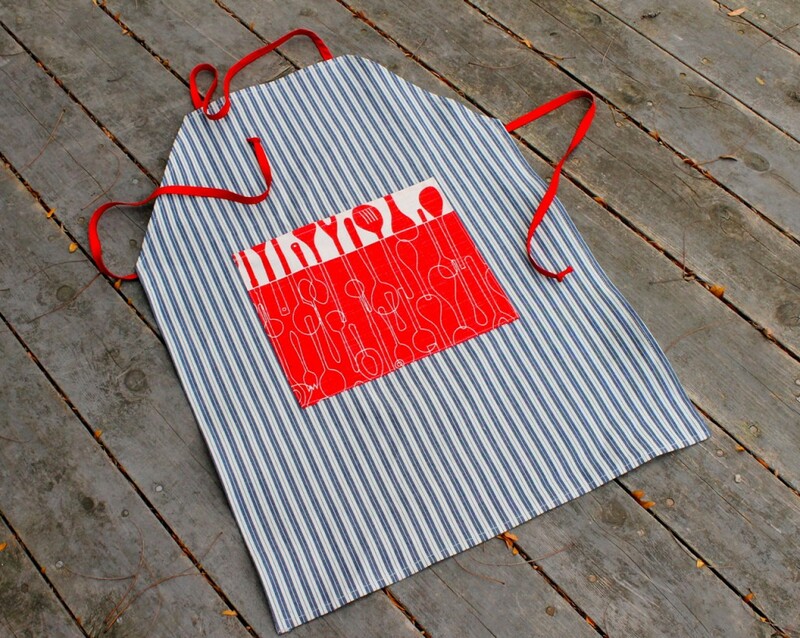 These are striped denim aprons with bright screen-printed pockets. 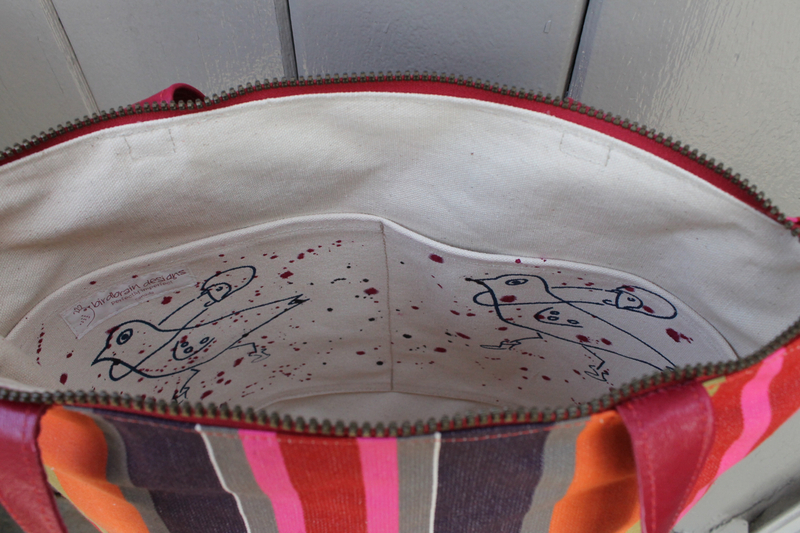 The top pocket is my favourite bird which I have had with me in one incarnation or another for over 35 years, the second pocket, the red one, is made from a piece which I got in a package of remnants from one of my favourite designers, Heather Moore of Skinny Laminx. I think the bright colours set off the denim well. I also screened some tea towels on absolutely beautiful linen I bought at the street market last year in Limoux, France. 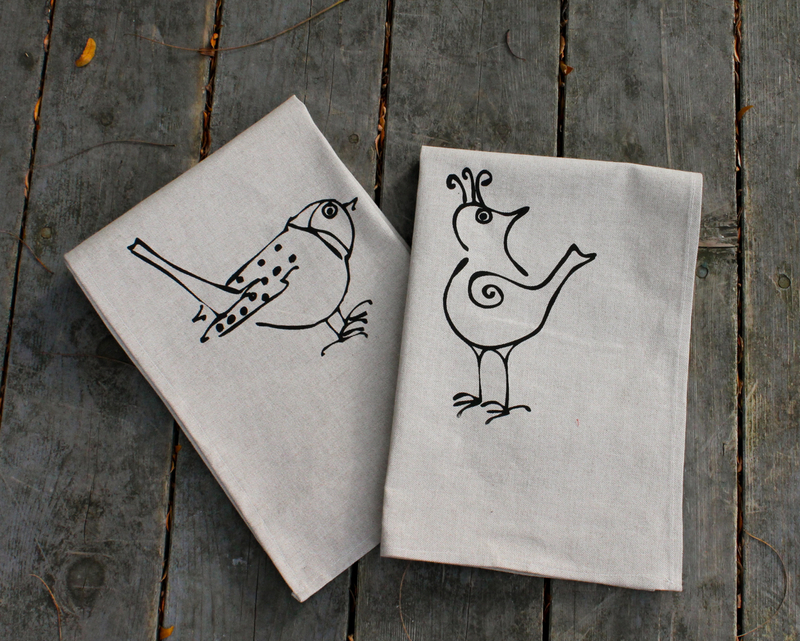 I bought all the vendor had–and I made matching pairs of the polka dot bird and the bird with attitude. I have been trying out some new things that I want to show you. They will be available at the December 2nd show. (If you want details, please email me.) 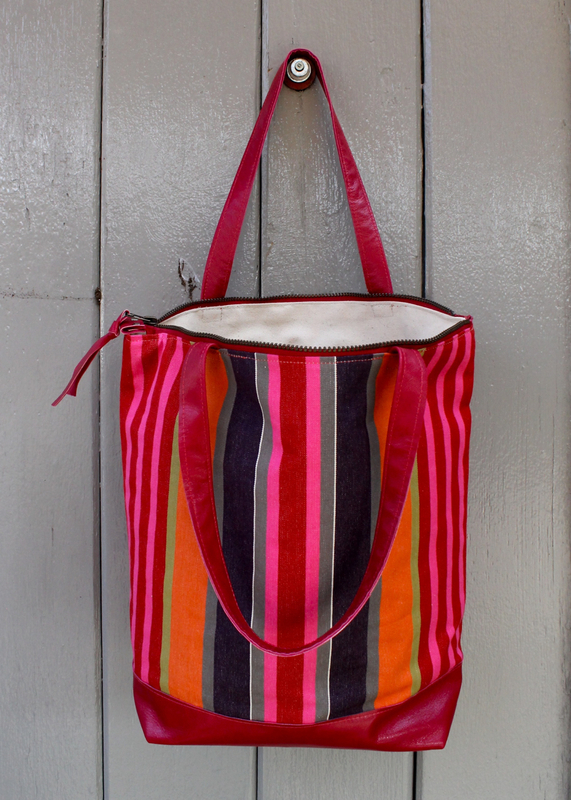 First the Basque Tote, 14x17x6.5″. 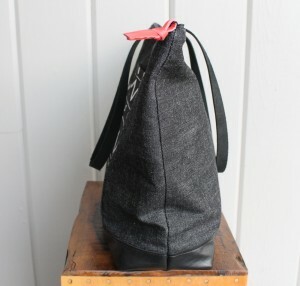 Leather bottom and straps and lined with canoe canvas. 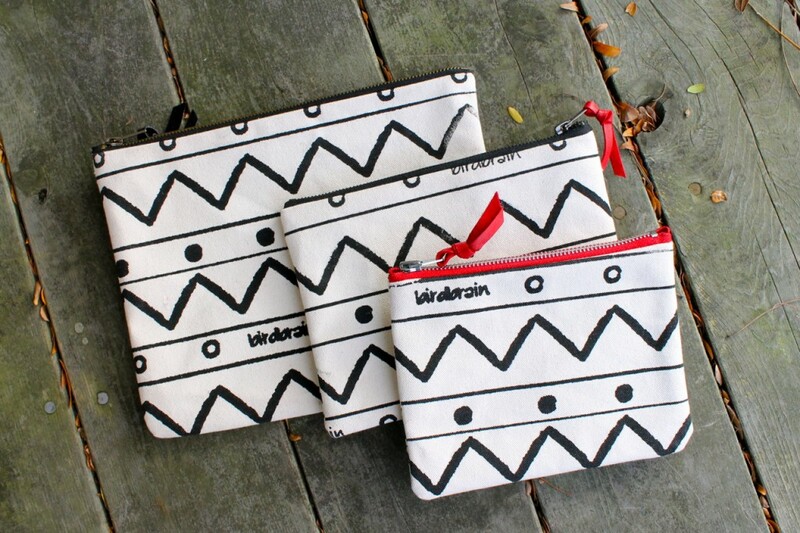 Fun with the screen printed pockets inside! I have some small pouches in this great striped canvas, but this is the only tote. And some ipad cases! 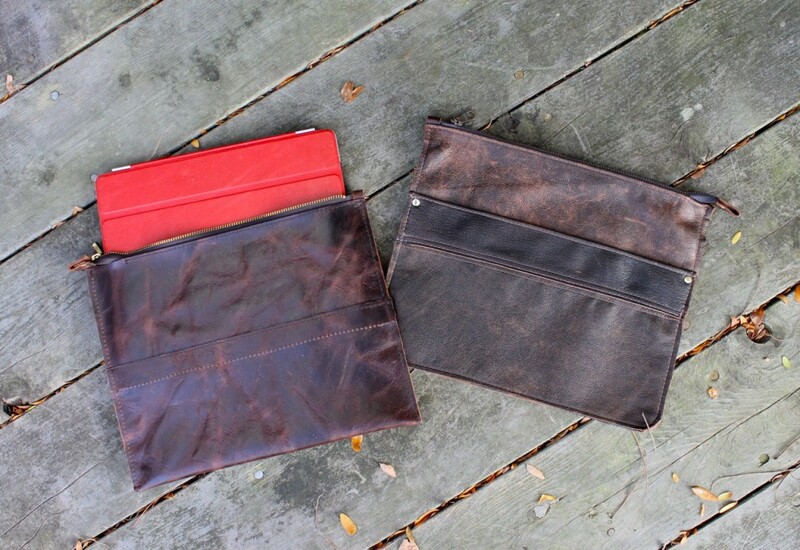 These are made of recycled leather with a zipper closing and a pocket inside. The one on the right has a slip pocket on the outside too. 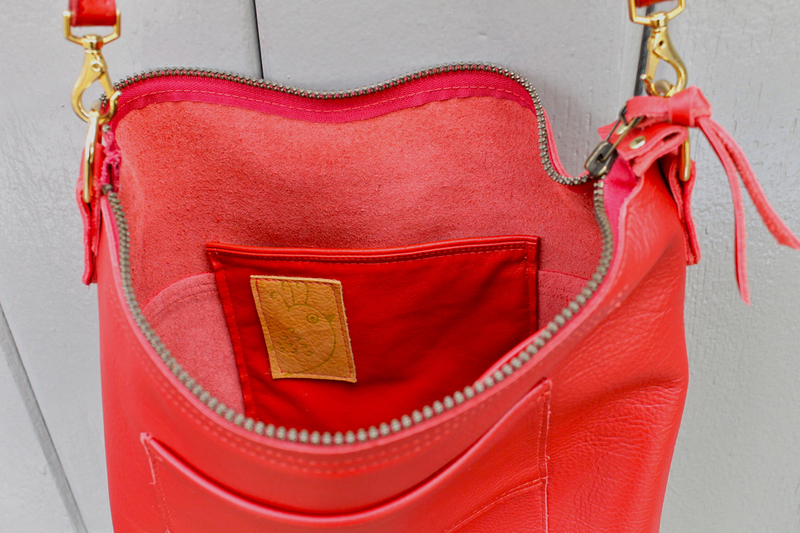 These are one-of-a-kind, since the leather comes from old jackets and couches! 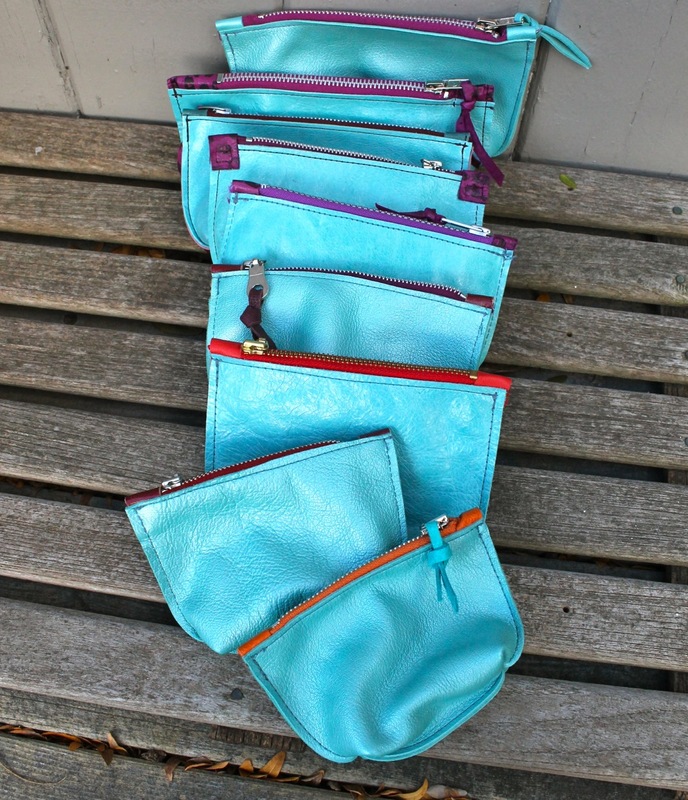 And finally a turquoise rough bag. 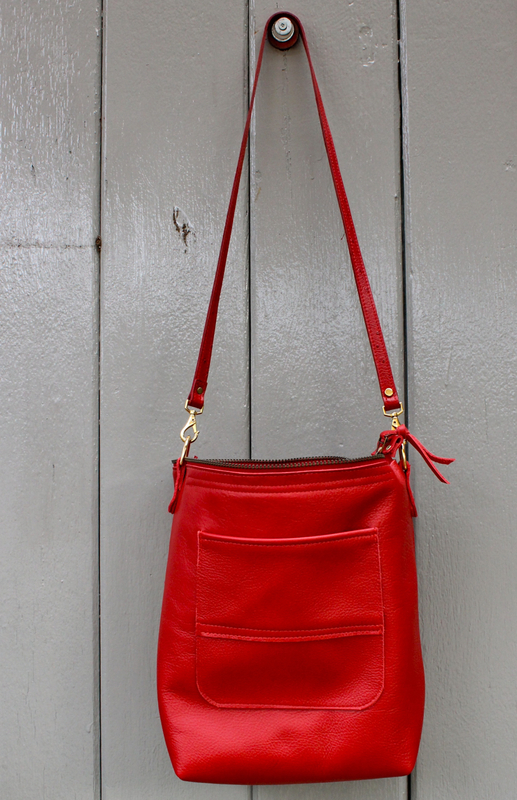 Unlined leather in a great colour with a slip pocket on the outside and two more inside. 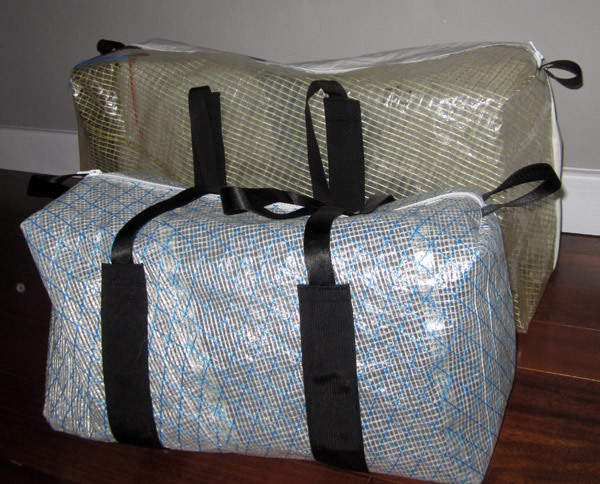 12x12x4″ with a 40″ strap. I gave my talk on Kenya last night (more on that in another post)–and with that checked off my list I will be concentrating on sewing all weekend, getting ready for our December 2 show. Since I will not post here again until Monday, I thought I would leave you with some glorious colour. I had just enough of this remnant of coated basque fabric to make two aprons. 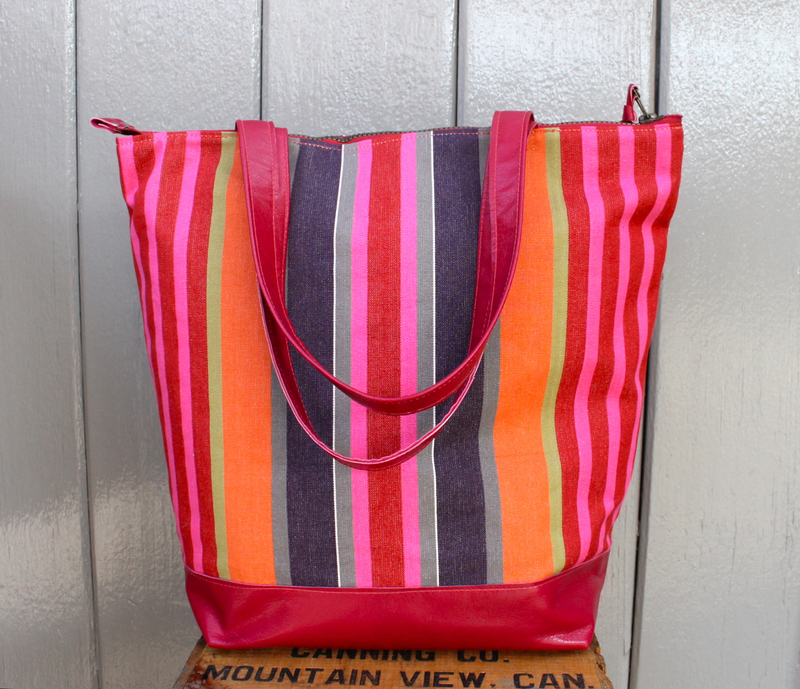 However, on Michelle’s inspiration I am coming up with a leather bottomed tote out of the striped basque cotton. Such a flash of colour. I will post it on Monday, along with some other new items, I hope. Have a great weekend everyone. 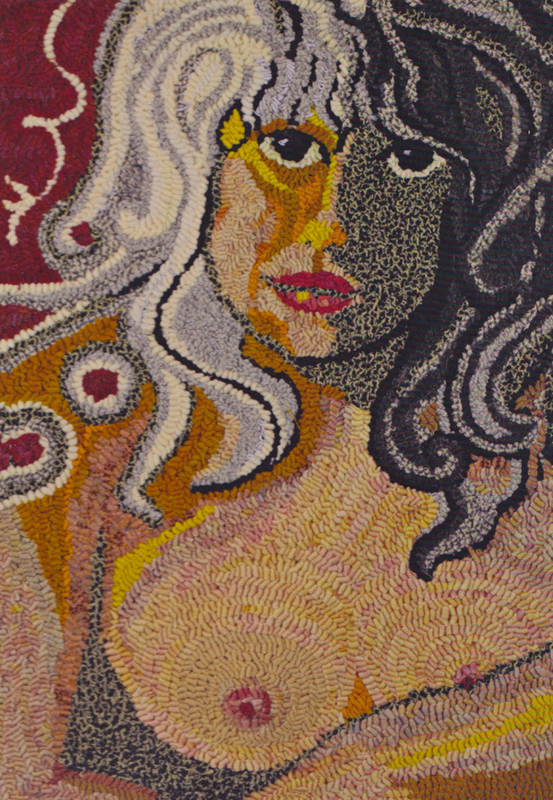 Barely Hooked, a show at Rae Harrell’s gallery, was a short drive from the Shelburne Museum. 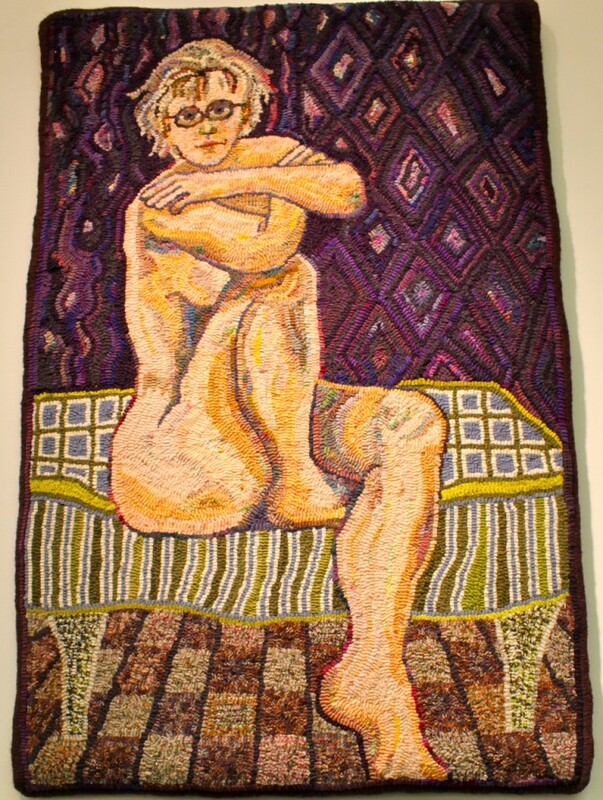 We were able to get there on Sunday; it is a wonderful gallery space and the show is well-worth seeing. Here are some of the highlights.